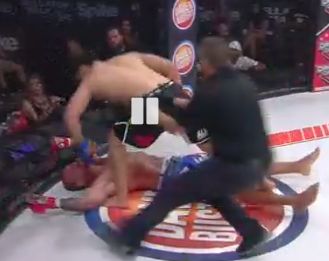 This 720 flying roundhouse kick KO blew our minds! 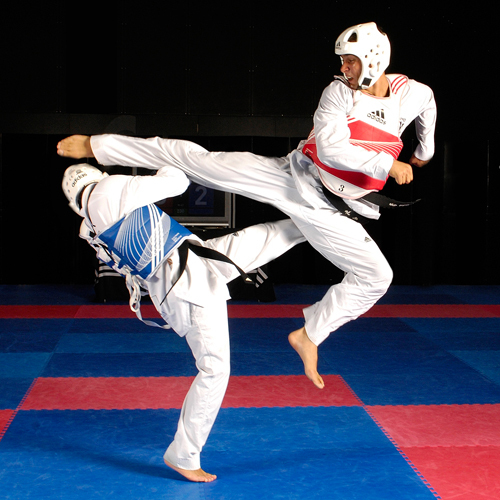 A few fighters have gotten in the habit of keeping one hand on the ground while they move in close to their opponent knowing it’s illegal to kick the head of a grounded opponent. But what happens if your opponent forgets that technicality? Lavar “Big” Johnson served notice to the UFC heavyweight division in his Octagon debut Saturday night with this first round knockout of the incredibly durable Joey “The Mexicutioner” Beltran. Forty-year-old MMA veteran Pete Spratt proved he still packs a punch Friday night when he took out Antonio Flores with one big left hook at Legacy Fighting Championship 7 in Houston, Texas. Looking for his 100th pro win, MMA pioneer Dan “The Beast” Severn fought Lee “The Beast” Beane this past Friday night at “The Beast Comes East” at the DCU Center in Worcester, Mass. Check out an early candidate for Pro MMA Now’s “2011 Knockout of the Year”. Patricky “Ptibull” Freire scored an amazing flying knee against Toby Imada Saturday night at Bellator 39.